Ever since the first dinosaur was discovered, these magnificent and mysterious creatures have captured our imagination! For generations we have marveled at skeletons and illustrations, only able to imagine how they might have moved, until they were brought to life through technology. The wide popular appeal of dinosaurs will never go extinct! Don’t miss the chance to see this exhibit! 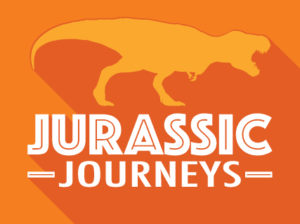 Jurassic Journeys is now open at Discovery Park of America from October 8, 2016 to December 31, 2016!